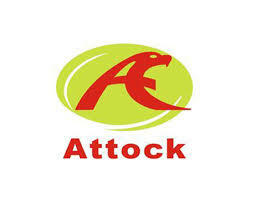 Karachi: In a notification sent to the bourse on Monday, Attock Petroleum Limited (APL) reported its financial results for the year ended 2016-17 on June 30th. APL’s reported an increase in net sales of 21.22pc to reach Rs1.386b for FY 2016-17 in comparison to Rs1.0923b during same period last year (SPLY). Operating expenses went up by 9.61pc to reach Rs1.880m for FY 2016-17 from Rs1.7m in SPLY. Finance costs went up by 38.24pc to reach Rs3.24m for FY 2016-17 compared to Rs2.372m in FY 2015-16. Profit for the year surged up by 38.41pc to reach Rs5.299m compared to Rs3.828m in SPLY. An increase of 38pc was reported in the earnings per share to reach Rs63.89 compared to Rs46.16 in SPLY. APL reported a final cash dividend of Rs27.5 for FY 2016-17 and its share price on a year-on-year (YoY) basis increased 43pc to reach 626.43 during FY 2016-17 in comparison to Rs437.54 during SPLY. At the time of filing this report, APL’s shares were trading at Rs611.00, down 26.86pc from its closing price of Rs649.99 on Friday. 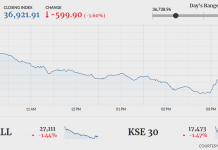 KSE-100 index was down 287.55 points to 41,113.47 at 2:45 pm.